After the small update in my personal life, I’d like to share a recipe on a very yummy bread I made yesterday. Some of you asked me for the recipe so I thought alright, I’ll just post it on my blog instead. Take a baking pan and butter it. Cut the apricots /cranberries into small squares and put aside. 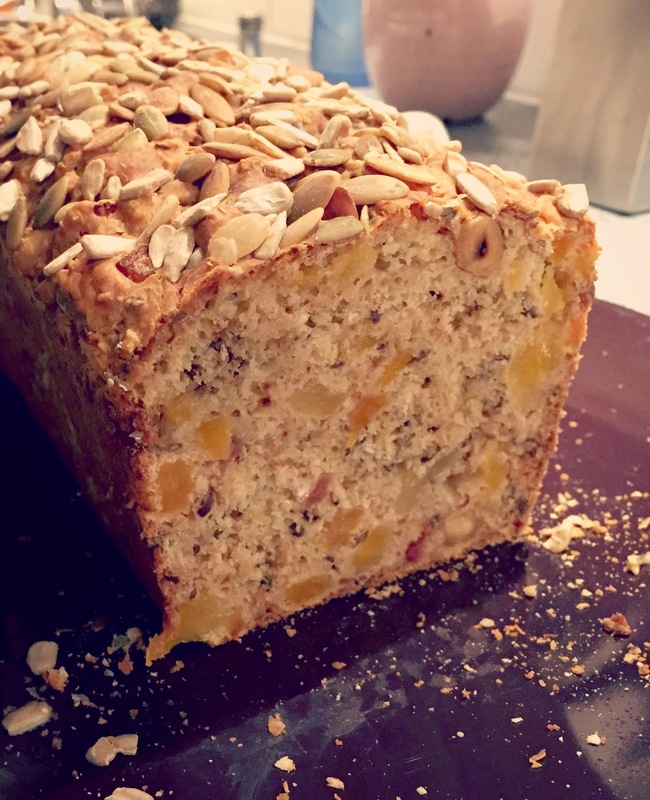 Combine the spelt flour and oats, mix in the apricots, nuts, flaxseeds, bicarbonate and salt. Now add the yoghurt and mix everything to a sticky dough. Pour the batter into the baking form and add sunflower and pumpkin seeds on top. Bake the bread for approximately one hour. Let it rest until it’s cooled down.